Out of a crew of 1,968, only 36 of the Scharnhorst’s crew were pulled from the icy seas. On this day the last naval clash of German and British large ships in World War II took place. The German ship Scharnhorst achieved fame during the war by sinking the British aircraft carrier HMS Glorious in 1941, managing to hit it at a range of 24 kilometers (one of the longest-range naval gunfire hits in history). 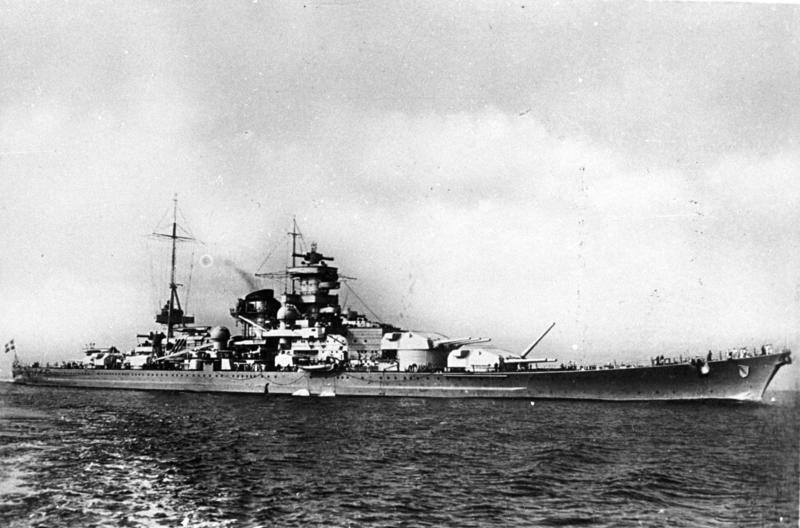 On the eve of this day, Scharnhorst sailed from Norway towards north to attack Allied convoys on that route, which was carrying supplies for the Soviet Union. Namely, since large parts of the Soviet Union were occupied by Hitler’s Germany, the path that circumvented Scandinavia from the north was the most practical for delivering help to the Soviets. North of Cape Nordkapp, Scharnhorst was met by a group of British warships, led by the Duke of York. There was a battle in which both ships fired one at another, repeatedly hitting their target. After Scharnhorst was hit by shells at least thirteen times by shells and four times by torpedoes, she began to sink. Out of a crew of 1,968, only 36 men were pulled from the icy seas, while all others were killed.